Gerald Marzorati is a former New York Times Magazine editor. 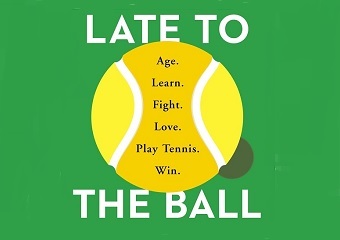 Arriving in bookstores today, Late to the Ball: Age. Learn. Fight. Love. Play Tennis. Win. is all about former magazine editor Gerald Marzorati’s attempt to get good at the sport of tennis, in his sixties. Marzorati has worked at Soho News, The New Yorker, Harper’s and The New York Times Magazine, where he was an editor from 2003 to 2010. Marzorati also has a fun piece this week in The New Yorker about fellow tennis player Leo Tolstoy. His curiosity about that topic was by piqued by an old photo. These days, in addition to being an author and tennis player (Marzorati endured a bruising doubles loss the night before the podcast), he consults for the Stone Barns Center for Food in Pocantico Hills, N.Y. The author also told Wertheim about an intriguing freelance piece taking shape for nascent print quarterly Racquet magazine and a key piece of advice he received about his book topic from mentor Roger Angell.